Ever log onto a local review site, like Yelp or Facebook, and see unflattering reviews about your management company or property? 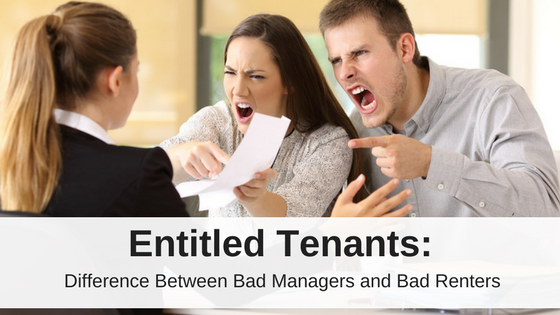 Sometimes these tenant complaints are valid, due to poor customer service by your management team, other times your tenants are simply complaining because they didn’t get their way. Here’s a look at some common renter complaints that tenants can transform into negative reviews that could end up hurting your reputation and future business success. Let’s see if these are legitimate complaints or an entitled tenant having an issue with standard lease terms. My landlord always charges me late fees, even though I only pay my rent a day late. A good landlord should collect late fees on the first day rent is late. If a manager or landlord let’s renters get away with paying rent late with no consequence, even once, the renter will build bad rent paying habits. Your lease agreement should clearly say which day rent is due, what day late fees will incur and how much. On top of that, you need to actually enforce your late fee policy. Enforcing late fees is an important part of a landlord tenant relationship and a renter who complains about late fees does not fully understand the contract he agreed to when he signed the lease. My landlord never returns my phone calls. You should be available for your renters to contact. If there is an emergency or general rental question, providing open lines of communication between landlord and tenant will help protect your property. Good communication is a pillar of any relationship, including your landlord-tenant relationship. My landlord is threatening to evict me if I don’t clean up all the dog poop in my backyard. Landlords and property managers are never allowed to threaten their renters. If your tenant is violating lease terms, like failing to clean up after a pet, you can give them a verbal warning reminding them that if they don’t remedy the situation they might be at risk to the repercussions outlined in the lease agreement. These repercussions might include moving forward with an eviction. But never threaten to evict a tenant for violating the lease terms. If lease violations continue you should follow your lease terms to provide written warnings, and an official notice to Cure or Quit. If the issue is not remedied, then you can move forward with the legal eviction process. My landlord hasn’t fixed the broken door lock I reported 2 weeks ago. Your renters are entitled to a safe living environment as required by the implied warranty of habitability. If an entry doorway does not have a working lock, and it was not the tenant’s fault that it was broken, the landlord or property manager is responsible for seeing that it gets fixed in a reasonable amount of time. While a broken door lock does not make a property inhabitable, it could threaten the safety of your tenant. Some states have specific safety laws that require working locks or other security features on entry doors. Failure to meet safety laws could let your tenant qualify for a repair and deduct or the tenant could legally break the lease without penalty. My landlord charged me $150 to clean the mini-blinds and took it out of my security deposit. Cleaning window treatments is one of the most misunderstood expenses when renters review a itemized security deposit deduction report. I can admit to being guilty of this complaint, only because I had zero idea about the real cost of cleaning mini-blinds. HomeAdvisor reports that the national average cost to clean window treatments is $232, and can range from $142-$338 depending on the the type of material, location of the property, and level of cleaning required. Metal mini-blinds are also easily damaged and sometimes need to be replaced all together to return a property to pre-move in condition. A landlord can mitigate this potential complaint by conducting a pre-move out inspection and providing a handout of how much it will cost to clean or replace property features if the tenant doesn’t fix the issue himself. My landlord is making me get rid of my dog because he bit a couple people but it didn’t even break the skin. My landlord is overreacting and heartless. If a pet threatens the safety of other tenants, guests, neighbors or the community, a landlord is absolutely allowed to ask the pet to leave. A landlord cannot evict a tenant for having a dangerous pet, but he can issue a Cure or Quit notice, asking that the pet leave the property. If the tenant doesn’t want to say goodbye to his pet forever, the landlord can require that the tenant go through an official lease breaking process, which might include fines and other fees. My landlord is selling my rental property and the real estate agent comes over all the time to show the property. It is not acceptable for a real estate agent to just show up and enter the property unannounced. The same is true for contractors or inspectors that are involved during a home selling process. These types of selling activities can be a huge disruption to a renter who wants to live in peace. Anyone who enters the property must provide advanced noticed according to your state laws for entering the property. If this keeps happening, you need to speak with your agent and make sure they are aware of the laws. Here are some tips for agents about the Best Practices for Selling Renter-Occupied Homes. The upstairs neighbor’s apartment flooded and the water damaged all of my clothes, bed, and computer. My landlord is refusing to pay to replace my belongings! 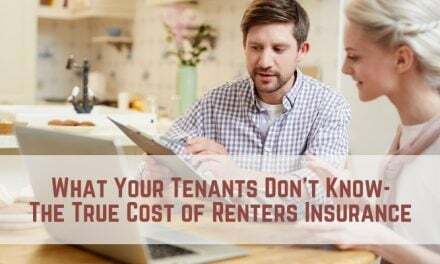 According to a survey conducted by Insurance Quotes, 52% of millennial renters do not think they need insurance because they assume their landlord’s insurance will cover the cost of stolen or damaged property and belongings. 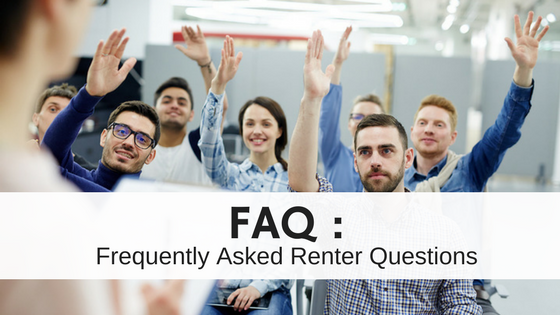 What these renters fail to understand, is that a landlord’s policy typically only covers the structure and property owned by the landlord and not the tenant’s property. Renters should get renters insurance to pay for any damaged or stolen personal property and now blame their landlord. Bad Management or Bad Tenant? Reading negative reviews is never fun but can reveal how the community and your renters perceive you and your properties. Analyze each review and complaint to understand the legitimacy behind the comment. It might reveal that you need to improve your management style or refresh your team on the laws. 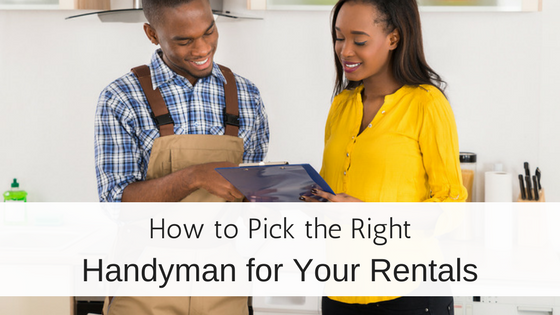 Other times you might discover that you need to communicate with your tenants better so your renters understand their responsibilities for how to be a great tenant. “My landlord always charges me late fees, even though I only pay my rent a day late.”–m, no, this is not the complaint of an entitled tenant. In many jurisdictions (including here in Massachusetts), there are laws about when and under what circumstances landlords can charge a late fee. Here in Massachusetts, late fees cannot be charged unless and until the rent is 30 days past due. It is not “entitled” for a tenant to complain about a landlord’s doing something he is forbidden from doing by law.